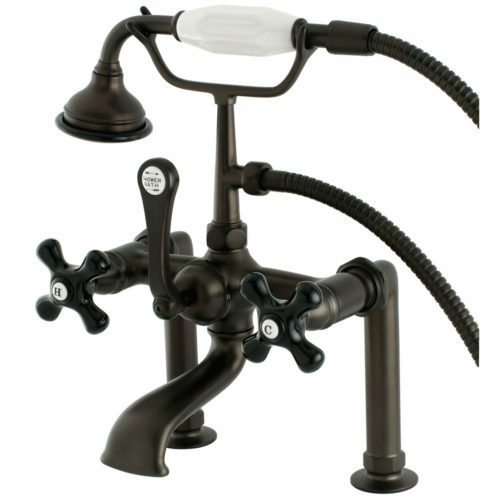 The Restoration Onyx deck-mount bathtub faucet is a refined addition to complete the look of your vintage clawfoot bathtub. 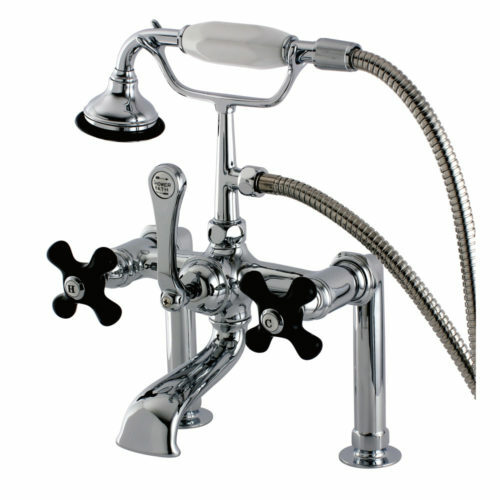 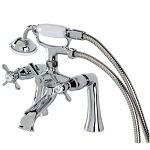 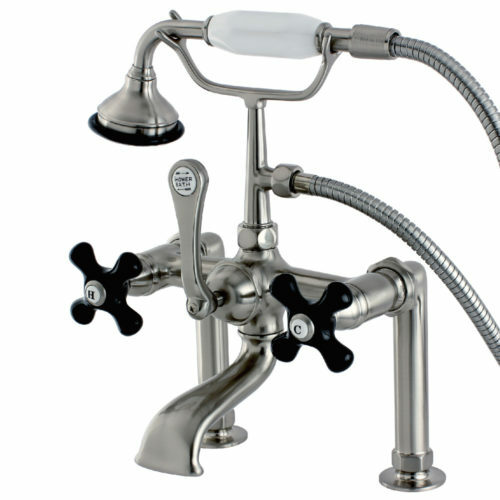 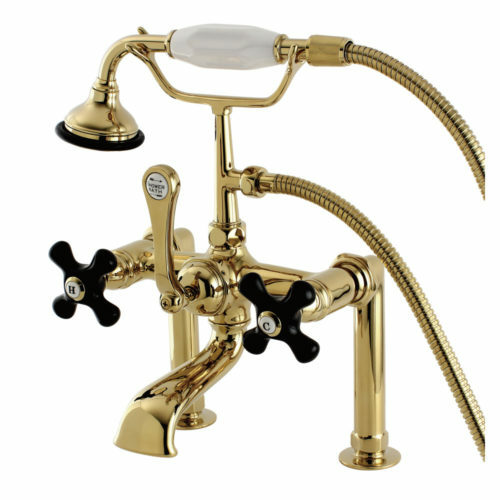 Manufactured from solid brass, this sturdy bath faucet comes in your choice of 4 finishes: Polished Chrome, Polished Brass, Oil Rubbed Bronze or Satin Nickel. 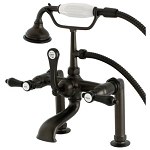 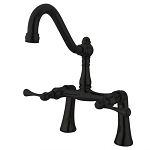 With a classic hand shower and premier Restoration Onyx black porcelain cross handles, this tub faucet will offers years of enjoyment and beauty. 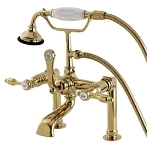 Polished Brass (image 1), Chrome (image 2), Brushed Nickel (image 3), and Oil Rubbed Bronze (image 4).